Award-Winning Philanthropist, Founder & CEO of the Global Connections for Women Foundation (GC4W). She is a University Professor at NYU School of Professional Studies. As we prepare to celebrate "International Women's Day" on March 8th, which celebrates the social, economic, cultural and political achievements of women around the world, while calling attention to the areas that still requires further actions. It is in the spirit of celebrating women that I like to recognize the efforts of Denise Mobolaji Ajayi-Williams, the next generation of social influencer, and an iconic woman on the RISE. Denise Mobolaji Ajayi-Williams is a recipient of several distinguished awards including a US Congressional Award for Outstanding Contributions, a US Senatorial Award for Outstanding Community Leadership, named "Global Women Champion" by the Global Connections for Women Foundation (an award-winning charity organization that has also honored President Joyce Banda, Wendy Diamond, Intel, Simon Venture Group and others), and she also caught the attention of Forbes Africa's Top 30 Under 30. 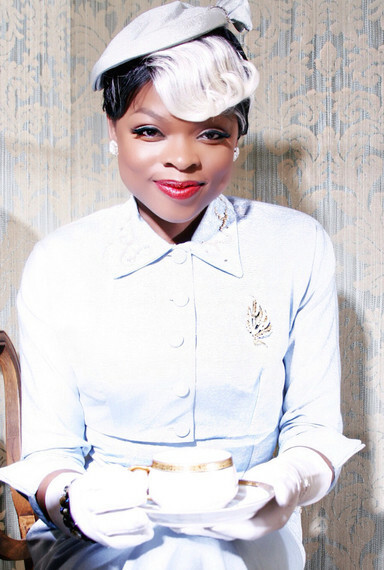 Denise Mobolaji Ajayi-Williams is a Wife, Mother, Author, Animal Rights Advocate, and the Founder and Editor-in-Chief of WorkingMomin20s.com (WM 1920s Magazine). WM is described as a place where women go to gather motivation, embrace the feminist's agenda, draw inspiration, connect with relevant cultural matters, and a forum to reflect on social, political and economic topics that impact their daily lives. "Our goal at workingmomsin20s.com is to try to redefine the word 'feminist' as millennials." "We pursue topics that are relevant in scope, which we focus on enriching our community with topic such as the equal rights of women, black lives matters, and addressing the misconception of the African culture, to name a few," said Denise Mobolaji Ajayi-Williams. Q1: What Makes WM is so Memorable for Millennials and Women alike? Denise: What makes workingmomin20s.com so memorable is because it is a true reflection of my life and other women alike - where we are exploring our path as a mom-entrepreneur, while balancing the demands of family life, individuality, and societal expectations. Workingmomin20s (WM) is also the first site to redefine what it means to be a "feminist" as a millennial woman in the 21st century. We also place a great deal of value in women maintaining their femininity and ladylike demeanor. We give women the voice to speak up on the social, political and economic topics that impact people from a diverse communities. We have writers from various parts of the world including the Egypt, Europe, Ghana, Pakistan and all across the United States. Collectively, our content reaches and engages over 1 Million people worldwide. "Our platform has also allowed minority women to become renowned journalist" said Hayden Williams III, husband to Denise and the co-founder of Workingmomsin20s.com. 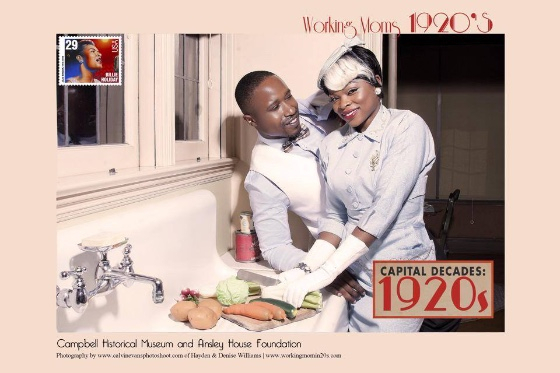 WM 1920s Magazine has also caught the attention and won the partnerships/sponsorships of brands including Coca Cola, Safeway, Albertson, Susan G. Komen Foundation, Maybelline, Kettle Brand, Rocksbox Style Insider, and more recently, Bold.Gobal. Beyond her WM 1920s Magazine legacy, Denise Mobolaji Ajayi-Williams is also the bestselling author of "Akiti The Hunter" -- which has sold thousands of copies worldwide. 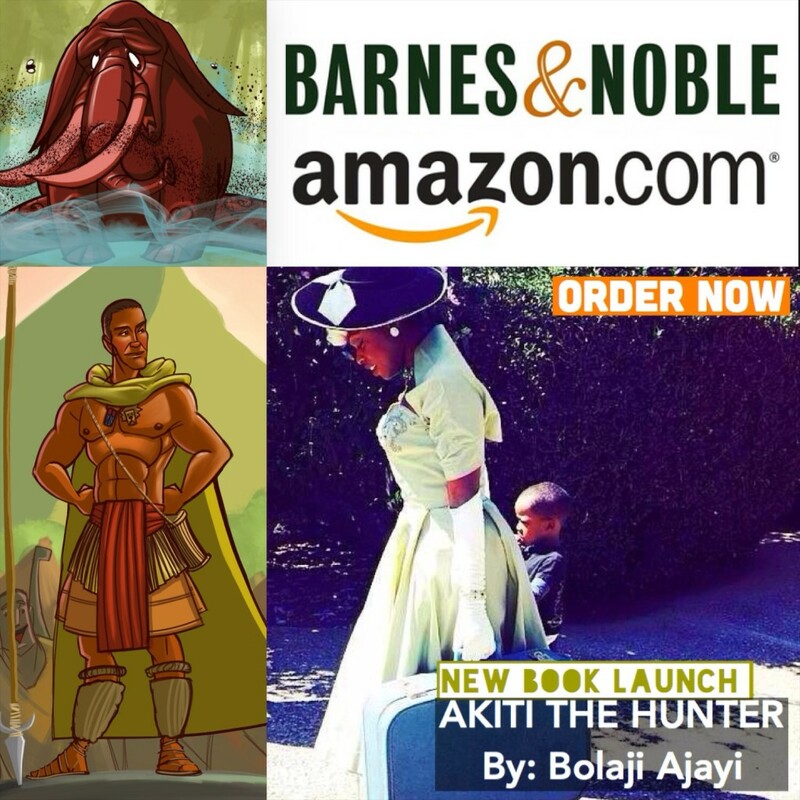 Akiti the Hunter is part of a five-part children's book series that chronicles the adventures of an action hero based on African folklore. The book came to fruition particularly because Denise Mobolaji Ajayi-Williams wanted to give her child and other children of African descent a story of a hero that resembles a champion from their own community. The book, however, has also won the hearts of children from multiple ethnic backgrounds. The book scored the author recognition from Harvard University Coop, and had several Sold Out in-store story time events throughout Barnes & Nobles Stores (in the US). Additionally, Akiti The Hunter has been featured on multiple occasions including Black Enterprise, The Huffington Post, Opportunity Lives, Oakland Post, and a featured author at the 2015 NAACP Author Pavilion. The book, Akiti the Hunter as peaked as Top Selling Children's Book in the United States on multiple occasions, which is no surprise why the book is being considered as a cartoon pilot for notable TV stations including PBS, Cartoon Network, and Disney. Purchase Akiti the Hunter in digital or hardcover at Barnes & Nobles. WM App is also available in IOS and Google Play.